The Austin Motor Co Ltd had many owners in its last 50 years and eventually was called MG/Rover but is perhaps best remembered as the home of the humble Austin 7 motor car. There was an internal railway system for many years and dozens of locomotives were based here. A full list is printed in the Industrial Railway Society "West Midlands" Handbook and it is not proposed to repeat this here. The following is a selection of photographs of the private railway. Sadly, the successor company, MG Rover Group, collapsed in April 2005 and the receivers were called in to try to save the company. As no buyer could be found the receivers had no choice but to close the business and liquidate the assets. Most of the workers were made redundant after production ceased on 15/4/2005. AUSTIN 1, 0-6-0ST Kitson 5459 of 1932, viewed from the main road looking towards Longbridge Lane with the main line from Longbridge Junction to Halesowen (Halesowen Railway) visible on the right. Photograph taken on 29th May 1948 by Doug Clayton and used by permission of the Industrial Railway Society. 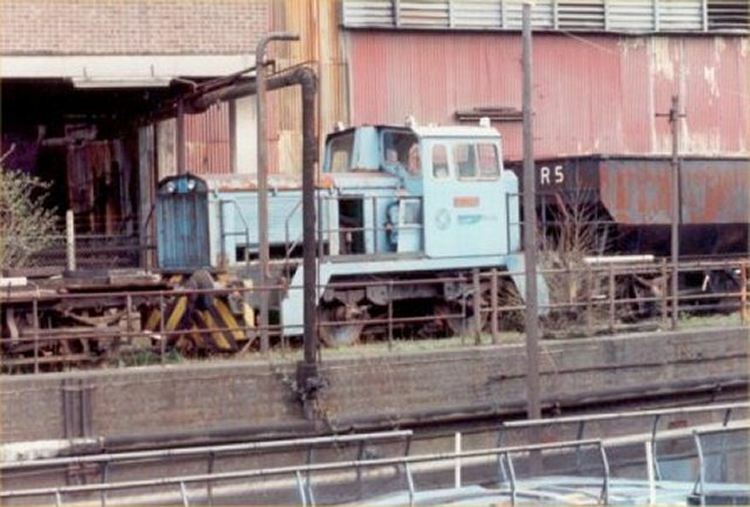 'EMMA' (Hunslet 8902 of 1978) in the exchange sidings that were located on part of the former Halesowen Railway. This old Sentinel type locomotive (Rolls Royce 10221 of 1965) has now been scrapped. 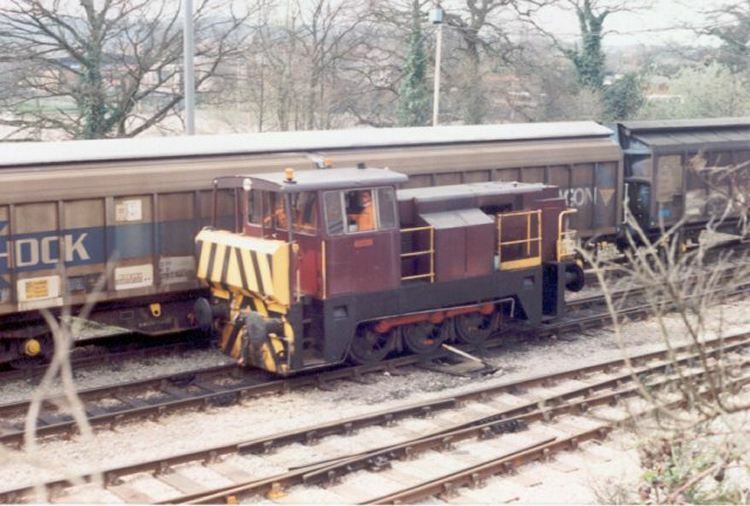 This Thomas Hill locomotive (283V of 1978), called 'FRANKLEY, was subsequently scrapped. All of the colour photographs were taken by Andrew Smith on 20th April 1996. The Longbridge operation was sold by the receiver and for a long time it seemed as though car production would vanish for ever from Longbridge. However, on 13th October 2006 Nanjing Automotive of China, who had purchased the MG brand name, announced that production of a new sports car to be called the MG TF would resume at Longbridge by the middle of 2007. Whilst car production did resume in 2008, sadly, the railway system had by this time been dismantled. Following the decision to demolish the old West Works at Longbridge, track recovery took place west of the workmen's station at Longbridge on the stub of the former Halesowen Railway. 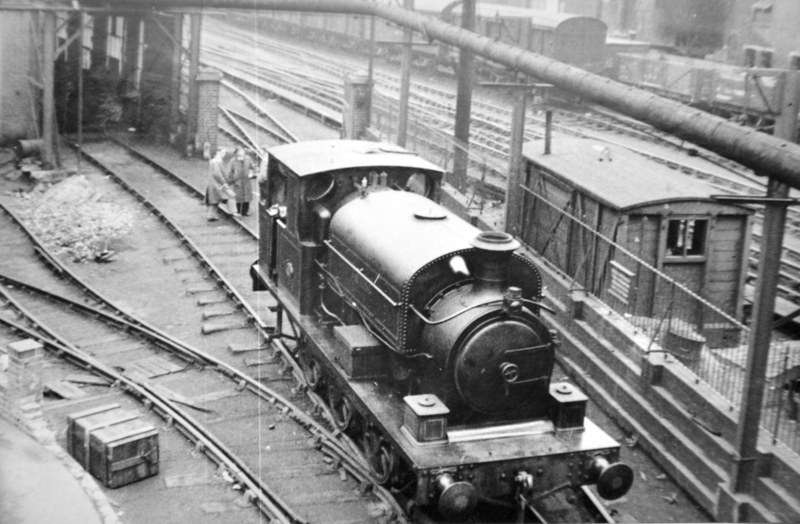 The line which formerly served the exchange sidings (see photograph of 'EMMA' above and the new West Works was cut back to just beyond the old station and later removed altogether. The contractors were Carillion, Trackwork Ltd and BCL Rail. 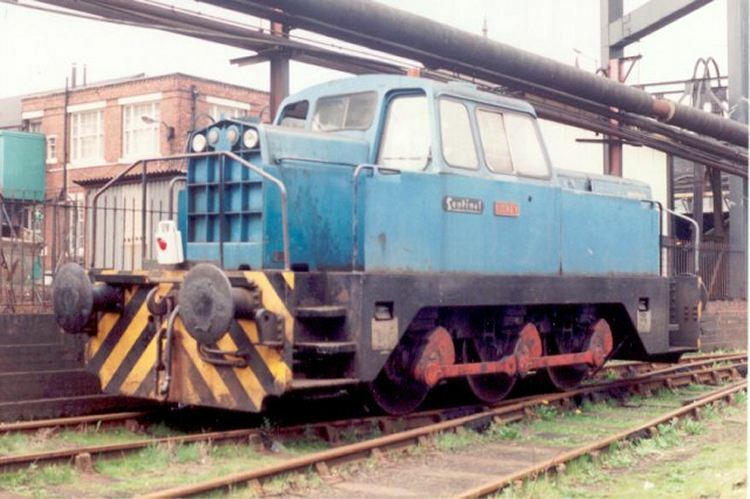 The diesel locomotives formerly owned by the MG Rover Group appear not to have been utilised but were still in the locomotive shed. Some photographs of the on-track plant used on this contract.can be found on this page. In 2008 all that remained of the railway was a very short stub connecting to the Birmingham & Gloucester line. 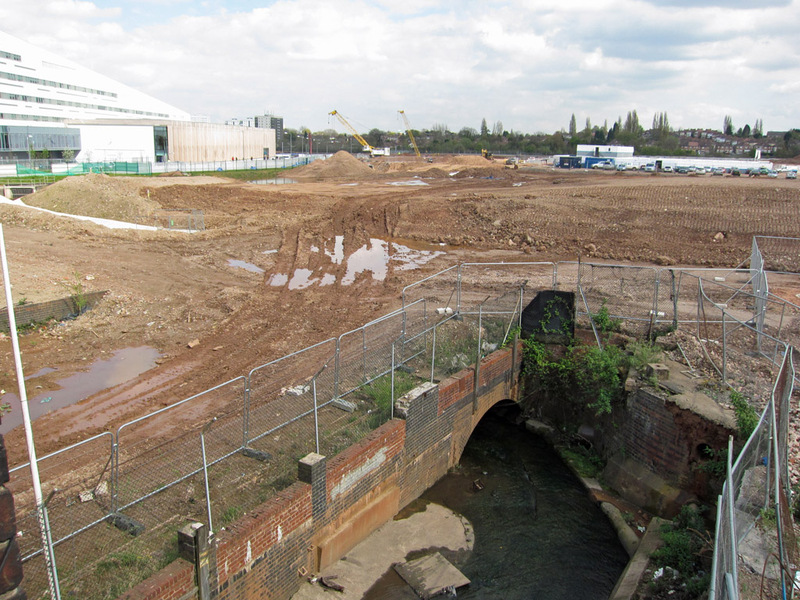 By 24th April 2012 all trace of the former railway and the Rover works had vanished into a sea of earth and mud.